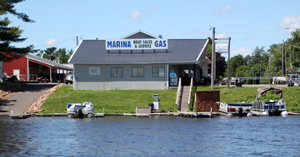 Lake Country Marina is a family-owned and operated business that has been serving the Chetek community since 1961. Lake Country Marina is owned by Jim and Suzanne Crotteau. Marv and Dorothy Swant originally purchased the marina in 1961 and operated it as Marv's Marina for more than two decades. Jim is Marv and Dorothy's grandson and remembers being at the marina as a youngster. In 1985, John Jones bought the marina from the Swants and renamed it Chetek Marine. 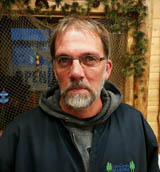 He sold the business to the Crotteaus in the spring of 2008. Jim and Suzanne named their new business Lake Country Marina. Many employees at the marina continue to be part of the crew. 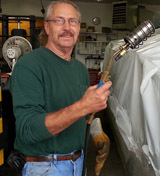 Service expert Jerry Crotteau is Jim's dad and has been the "go-to guy" at the marina for more than 54 years. 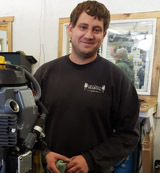 Serving both local residents with year-round top-notch service and welcoming seasonal visitors is important to the folks at Lake Country Marina. Stop by, check out the renovated showroom and say hello. They look forward to serving you with excellence. You may recognize Suzanne from The Great Outdoors in Rice Lake. While Jim is at the helm of Lake Country Marina, Suzanne is greeting folks at The Great Outdoors in Rice Lake. She created the successful store in 2000, expanded the building three times and the business continues to thrive. 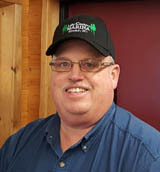 Customers come from near and far to buy unique northwoods and lodge decor and furniture. 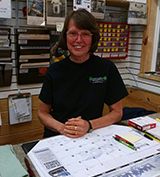 Stop by and say hello to Suzanne at The Great Outdoors at 1503 South Main Street in Rice Lake. Or call (715) 736-1257. Check out the website: greatoutdoorsfurniture.com and email Suzanne at info@greatoutdoorsfurniture.com. Family traditions continue. 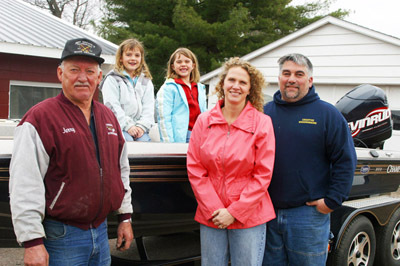 In this photo, taken in 2008 right after the Crotteaus purchased the marina: Jerry, Jamey, Brianna, Suzanne and Jim Crotteau. Many changes have been made at the marina in the past nine years but family will always remain the same! 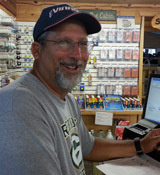 Jerry has been with Lake Country Marina since 2008. Prior to that, he worked for the previous owner for many years. 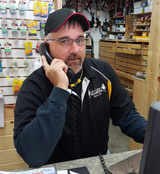 If you have any questions or need help finding parts for your boat motor, Jerry is your man. Jerry enjoys snowmobiling in the winter and spending time on his lawn tractor all summer long. One of his favorite winter sports is playing dartball. 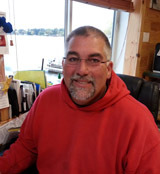 Terry has been with Lake Country Marina since 2008 and was an employee with the previous owner. 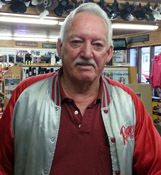 Terry enjoys hunting and fishing in his spare time and tries to spend as much time as possible with his grandchildren. 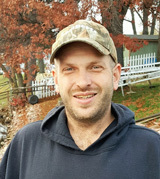 John was born and raised in St. Paul, MN but has lived in the Chetek area for many years. 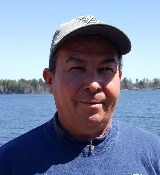 He enjoys fishing, hunting and target shooting. His favorite pass time is reading and listening to music from the 60's. In his down time, John enjoys volunteering at the local hospital. 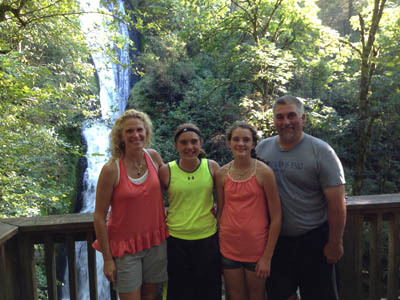 John has done a fair amount of traveling and one of his favorite vacation spots is Ireland.